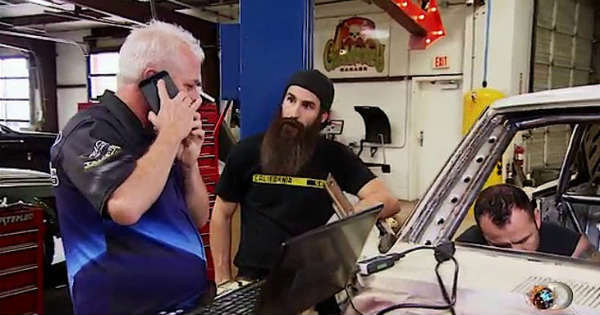 It Is Difficult To Believe In These Strange Secrets About Fast N’ Loud! Behind every successful reality show there is something interesting about its past. In fact, it would hardy be successful if there was not for these secrets. We have previously covered secrets about other shows, but this time we check out one of our favorite ones. Namely, you will learn some strange secrets about Fast N` Loud. Back in the beginning days of the show, Richard had a beef with Jesse James. Being one another`s competition, this is somewhat normal. What is not normal, however, is the fact that Fast N` Loud simply fired too many people. In fact, enough people were fired to start a brand new show, which was a spin-off to Fast N` Loud. Besides couple of wrong decisions about Richard`s restaurant, he probably made the worst mistake ever. He took part in a commercial with CGI Monkey! What is so strange about it? Well, this very same commercial is considered by many as one of the worst commercials of all time. Boy, what a terrible mistake for such a successful businessman. Another one of the strange secrets claims that the guys at the shop had many troubles with the computers. In fact, you would not believe at the number of cars connected to the computer that had the same issue. Well I guess that you cannot be a computer expert and a car prodigy at the same time. The funniest among all of these is probably the weirdest one. Back in the days Richard and Aaron made a promotional image for the show. What is so strange and funny about it is the fact that they are naked while Aaron is holding a skull next to a car in the middle of the sun! Before you leave make sure to take a look at some of the Fast N` Loud best moments!